Transform your mason jar with this stainless steel filter. Use the filter to make cold brew coffee, hot or iced tea, nut milk, infused water or alcohol, or to filter or strain any liquid. Leak proof with 2 silicone seals and a wide mouth stainless steel lid. Designed for a 16oz mason jar. No need to spend money or create waste on drinks when you can create your own at home. Stainless steel lasts a lifetime and can be recycled at the end of its useful life. 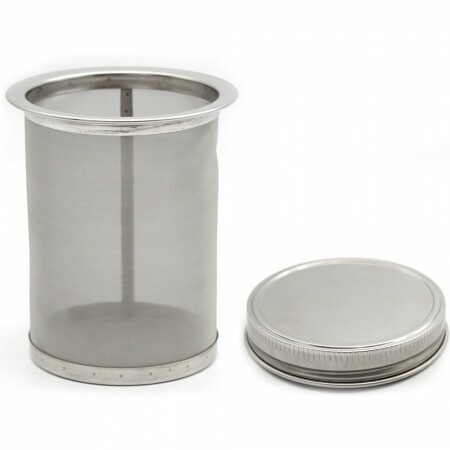 Attach to your mason jar to filter or strain liquids. Create fun coffee, tea, and fruit drinks. While brewing, use only the “wrap around” silicone seal. This will seal both sides of the metal filter. 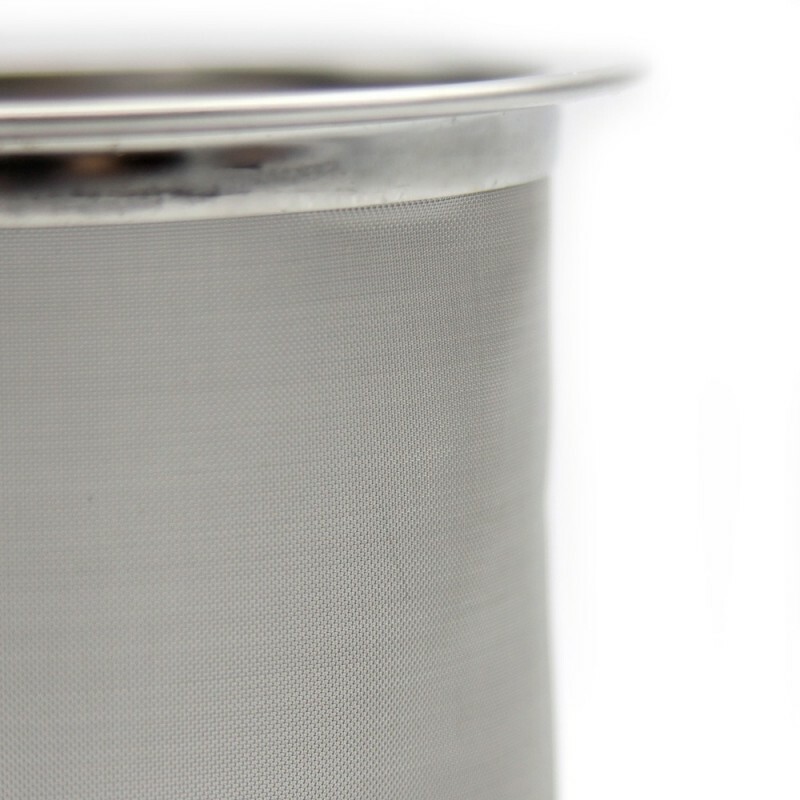 For leak proof storage after brewing, use only the seal with a raised ridge inside the stainless steel lid. 10 (H) x 7 (D) cm. 16oz Pint Size. 304 18/8 stainless steel. Browse our other toxin free kitchen reusables.